GWAR Presents, Killing the Internet! Hailing from Detroit, BattleCross Took the stage, i had the pleasure of seeing this band as direct support for Crowbar a couple months back at The Rickshaw Theater, They seem never to hold back while on stage be sure to get there early if you’re coming to see the show. Cryptopsy from Montreal came out and crushed some skulls from the stage to bathroom, yes that’s right to the bathroom their sound took over The Commodore, i think i will have to check them out some more then i already have. 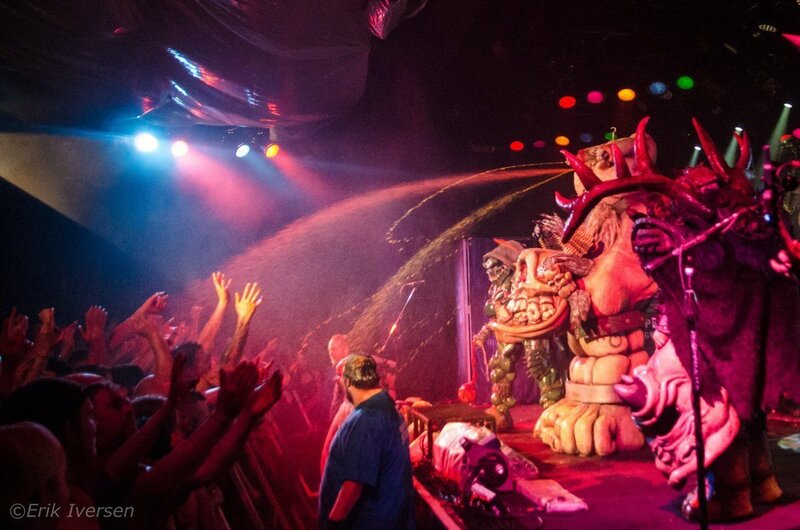 Now it’s time for GWAR to take the Stage this fine Ghoulish night, all of Vancouver’s fans where there, Lining up at merch early to get a white shirt, This is a tradition, purchase a white shirt get into the pit, have some messy fun, the venue thought it out well for a Gwar show, They putt cardboard down to soak up the blood, they covered all of the bands gear, the place was ready to get Gwared all over. Oderus Urungus, you shall forever be the best lead for this band, throughout the night i kept on thinking well if oderus was here i am sure they might have changed the theme for tonight, i personally did not like the theme of killing the internet, They took a prehistoric Iphone, showed us some silly clips, and killed off a fox news caster, other then that the night had no real memories for me. If you’re looking to get messy, Get drunk, Dive into the pit, Unleash metal to the massses, well then this is the show for you, come one come all get Gwared on!